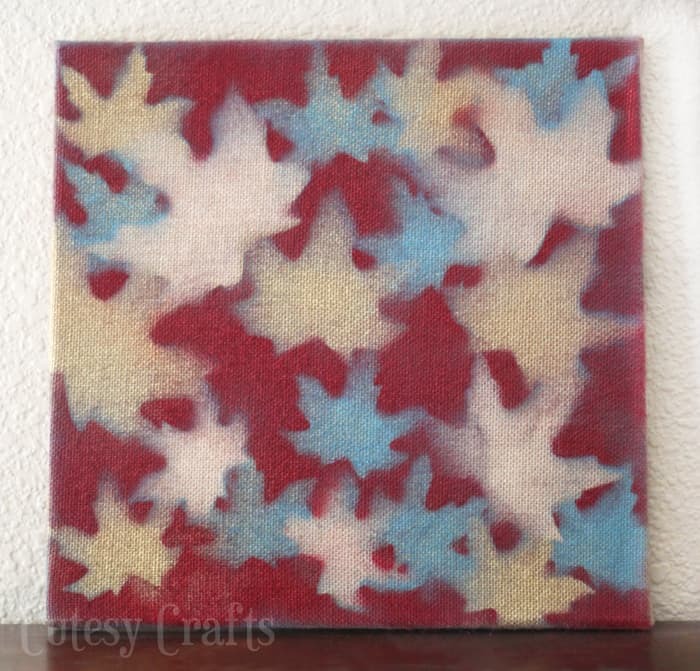 I love unique autumn crafts, and this fall canvas project definitely qualifies! 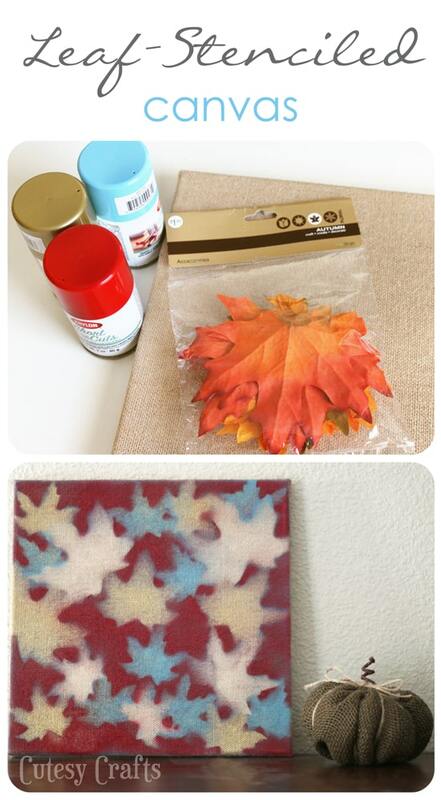 Use spray paint and leaves to make fun, seasonal wall art. 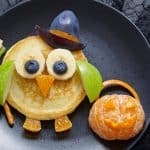 I don’t know about you, but I am SO ready for fall and fall crafts! I just love the cooler weather and the colorful fall leaves. 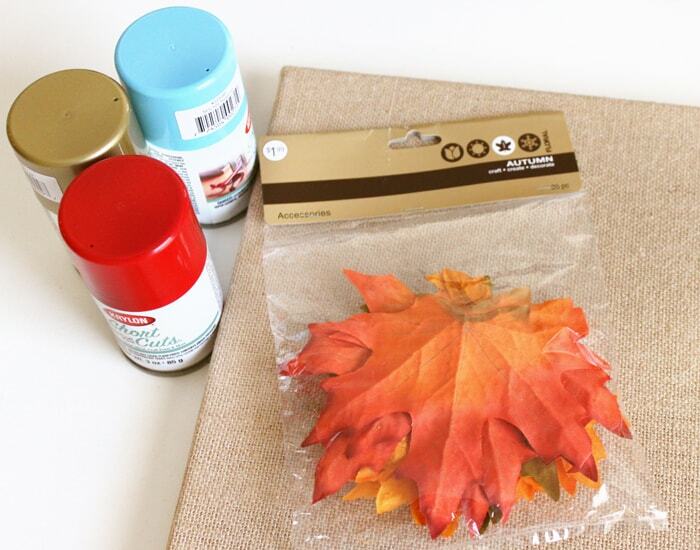 I decided to bring a little bit of fall into the house with this leaf-stenciled canvas. 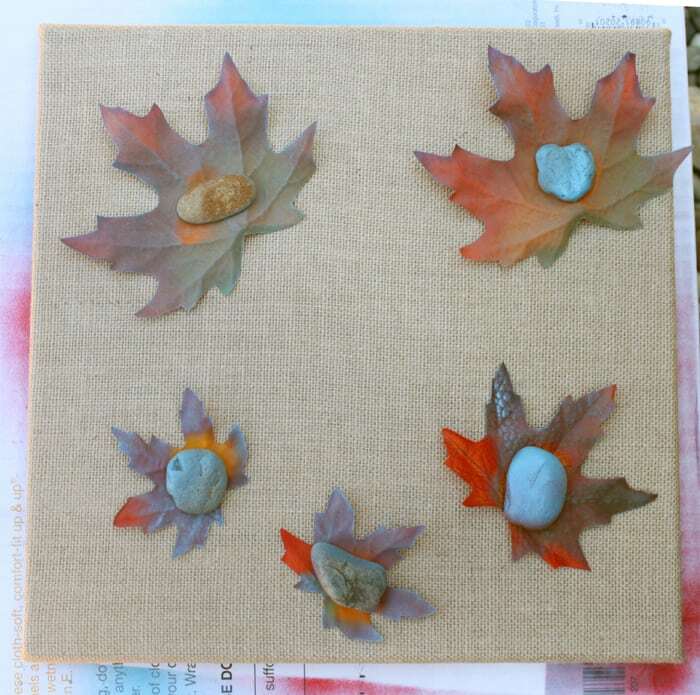 Instead of using an actual leaf stencil, I used leaves as a reverse stencil of sorts. These leaves are fake, but I think it would be really neat to collect real ones when they start to fall off the trees. 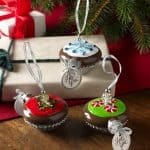 All of the different types and sizes would be beautiful! 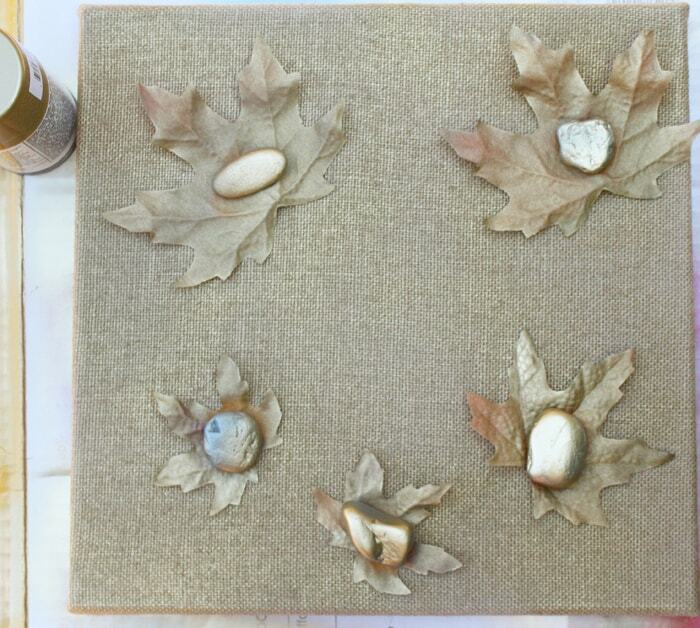 Place a few leaves on top of the burlap canvas, and weigh them down with rocks so they don’t blow away. 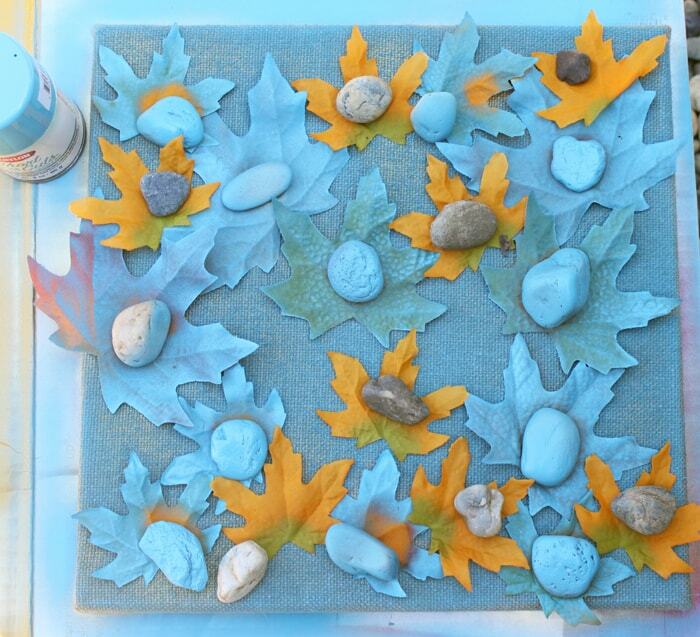 Make sure that none of the rocks are touching the canvas, or you will see their outlines instead of the leaves. 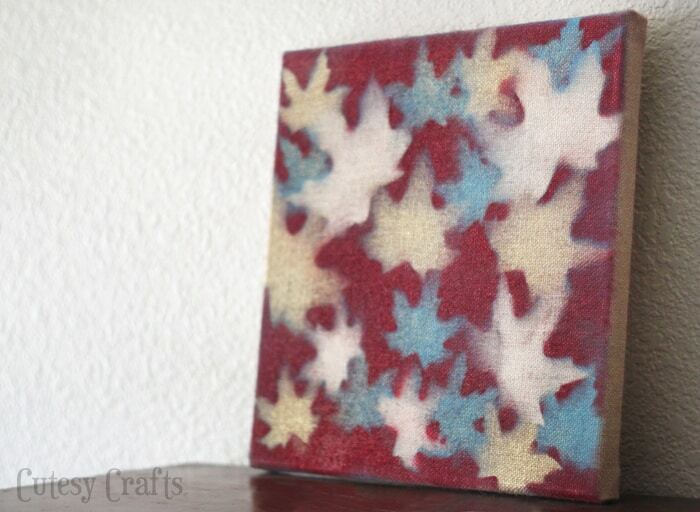 Spray paint over the top of the canvas and leaves with the gold spray paint. You want to spray down on the leaves and try not to get any paint under them. Add more leaves and spray paint blue. 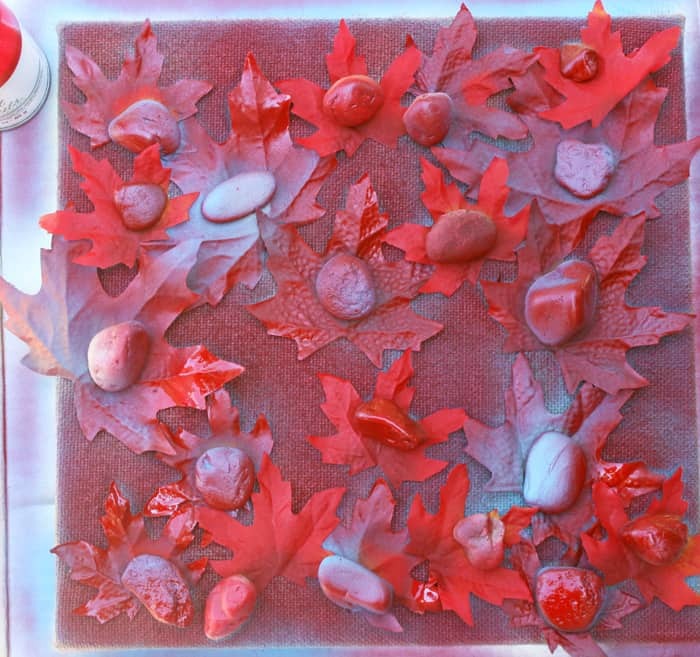 Then add a third and final layer of leaves. And my favorite part… take off the leaves to see what you’ve got! 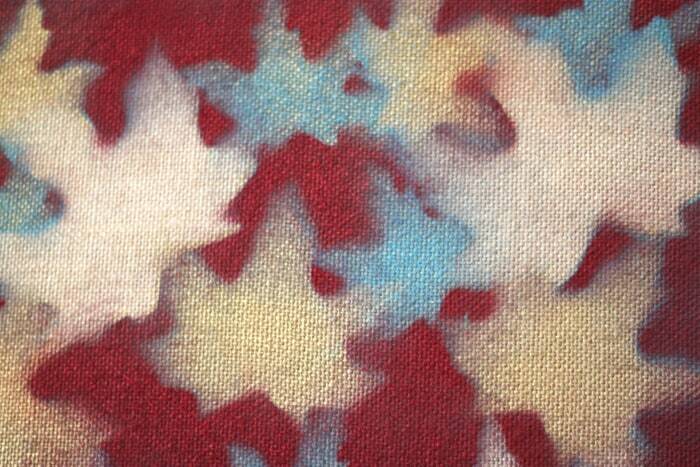 I love how the edges of the leaves show little bits of the other colors. 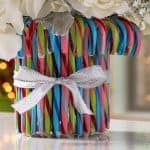 You can paint the colors in whatever order you like or even use different colors altogether. The possibilities with this really are endless. 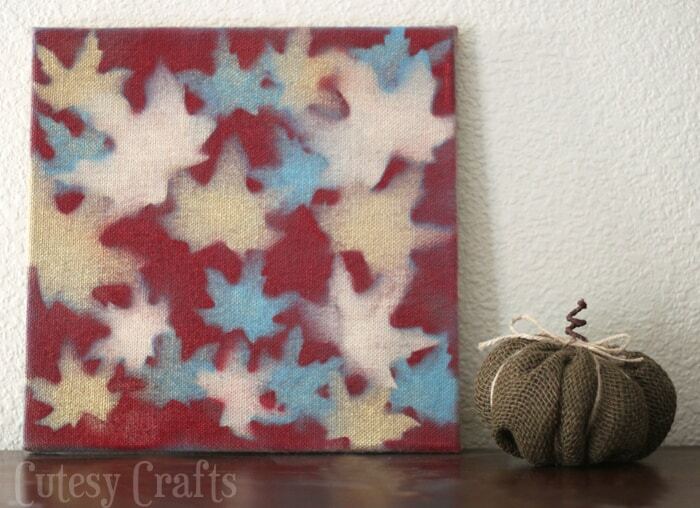 If you like this fall canvas project, head on over to my blog, Cutesy Crafts, to find more great ideas! First of all, thanks for always making it so easy to follow your link in profile. Makes navigating to instructions so easy and convenient when I only have a few minutes to check my Instagram feed. I love this! 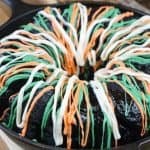 You have inspired me to make a runner for my Thanksgiving dinner. 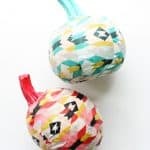 I want to use this technique on some fabric I already have with copper, orange, and black. I plan on using fabric I don’t care about so I don’t need it to be washable. I wonder if there is a way to make it washable, hmm….. may have to do some research. Anyway, thanks for all your wonderful ideas and great walk tthrough.